Why choose Nuffield Health Cardiff & Vale Hospitals for your hip replacement surgery? Located in the beautiful surroundings of the Vale of Glamorgan, The Vale Hospital is home to some of the most experienced orthopaedic hip surgeons in Wales. Our experts specialise in lower limb joint replacement surgery and can provide you with rapid access to an initial diagnosis and treatment plan, which has been tailored to you and your unique needs. Choosing to go private at Nuffield Health Vale Hospital ensures that you will have access to our state-of-the-art hospital facilities where you can rest assured that you are in the best possible medical hands. Our hospitals physiotherapy teams at The Vale and Cardiff Bay specialise in orthopaedic aftercare and will work alongside your chosen consultant to get you back to your best after surgery. 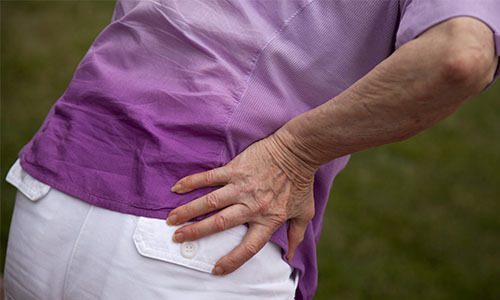 If you are suffering from hip pain and want to discuss your treatment options with one of our consultants in either Cardiff or Vale, you will need to book a private consultation via our dedicated hospital enquiry team on 02920 836700. Hip replacement surgery is performed at our Vale Hospital, however patients have the flexibility to decide where their initial consultation takes place. As well as the Vale Hospital, our hip consultants operate out of Nuffield Health Cardiff Bay Hospital for initial consultations and all diagnostic imaging. Subsequently, you can choose which of our two locations you want to undertake your post surgery physiotherapy and aftercare with.